· Provide superior construction at competitive prices. · Maintain the highest levels of professionalism and integrity in relationships with suppliers, subcontractors, professional associates, and customers. · Secure the success of our company through homeowner satisfaction in all facets of construction. 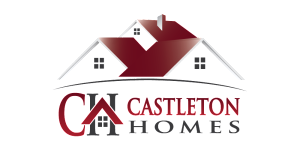 Whether you already own a lot to build your home or need help finding property to match your vision, Castleton Homes can help you achieve your goals. We offer new construction, remodeling and residential pool building services. Castleton Homes can assist in drawing plans that bring your vision to life. After preliminary plans are complete, we will take you through the pre-construction process, where we can value engineer your design to ensure a quality project within budget. Pre-construction is a time to review and estimate the project. Whether it is new home construction or remodeling, the pre-construction process plays a major role in eliminating potential issues and creating a smooth construction experience. Once plans are finalized, we will assist you in the selection process that personalizes your home and matches your taste and style. Continuous communication and collaboration ensures a successful project that not only ends with a beautiful finished project but a pleasant and enjoyable construction experience. From beginning to end, every project is managed with our homeowners best interests in mind.